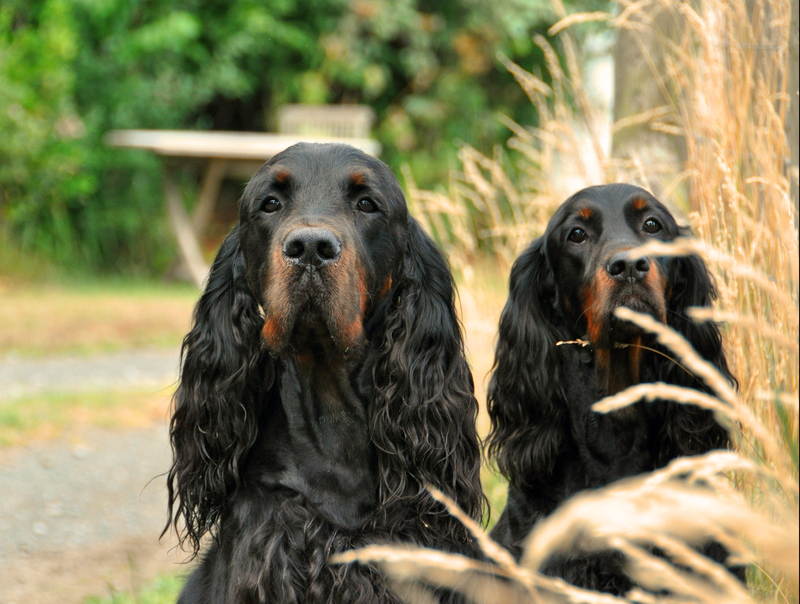 Gordon Setters; Megan, Murdock, Morgan and Morgan's daughters, Macassar, Marmalade and Moneypenny live with us at our smallholding in the beautiful Herefordshire countryside. When relaxing after a hard days playing, running and 'helping' us with everything, they join us in the house, on the sofas and of course up to bed. Please see individual pages above.